Paco Osuna became interested in music at the age of 14, and in 1994, aged 20, he was able to realise his dream of making his passion, his profession. In 2006 he strengthened his artistic vision, by creating the label Mindshake, quickly achieving success in attracting international attention. Artists such as Skoozbot, Ambivalent, Paul Ritch, Matteo Spedicatti and Andrea Ferlín have had releases on Mindshake. The habitual presence of the label at WMC, DEMF, or at ADE in Europe, makes the label one of the busiest and best prospects in the world today. 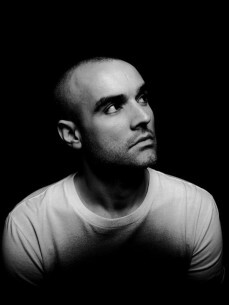 Particularly in Miami, through the Mindshake showcase, Paco Osuna is synonymous with “no more tickets”. In recent years Paco has helped Mindshake become one of the most talked about labels in the US. In 2006 Paco had the idea of creating his own conceptual club in Barcelona, and so Club4 was born, a space which, from its very beginnings has stood out as an original site in the esteemed Barcelona scene, fast becoming the place to be for variety and exposure to the latest musical offerings. Artists such as 2000 and One, Adam Beyer, Carl Cox, Christian Smith, Dubfire, Josh Wink, Marco Carola, Matthew Dear, Michel De Hey and Richie Hawtin have appeared on the club’s posters, allowing the Club4 to achieve a national and international reputation. Paco combines dark and durable, intelligence and power, machinery and sophistication: a profound conscience of all things music. For Paco, it doesn’t matter where he’s playing as each set is important and definitive. He likes to be one step ahead of the pack, and that gives him a special identity in everything he produces, or mixes. It’s no mean feat that, at ENTER, he is the artist who has most presence, after Richie Hawtin himself. It’s as though it were his own brand, like a project that is in his DNA. At the beginning of 2012, Paco was invited by Richie Hawtin to form part of the brand and its development, both becoming official residents at ENTER. The party rapidly became the most fashionable on the island and was awarded the DJ Magazine prize of ‘Best night in Ibiza’. After a summer full of surprises, Paco embarked on an annual tour with ENTER, participating in many major international events, such as Ctrl Tour, Tomorrowland, Sónar, WMC and ADE.